Ethan Johnson ... cycled from Brisbane to Sydney over two weeks. 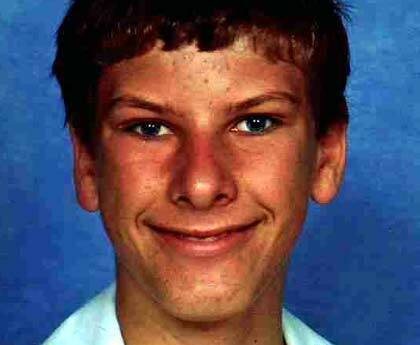 A 15-year-old Brisbane boy with Asperger's syndrome who disappeared for two weeks and rode his bike more than 950 kilometres to Sydney did it to prove to "bullies'' he wasn't an idiot, his mother says. During his six-day, dawn-to-dusk haul down the east coast, Ethan Johnson slept at truck stops, under bridges and ate at fast-food restaurants. All the while, online, thousands of people joined a support group hoping for his safe return, and assuring him he was a great person who needn't prove anything to anyone. Ethan's mother, Tammy Johnson, was unaware of his exact location during the two weeks, and kept putting a small amount of money into his keycard account each day so he could eat. Despite this, when Ms Johnson was finally re-united with her son after police found him at Merrylands train station on Good Friday, she found he'd shed substantial weight. "He is safe, has lost about 20kg and is skin and bone. I'll have to feed him up again,'' Ms Johnson said, on an internet appeal site she set up after Ethan went missing. Ethan disappeared on the morning of March 30, and was last seen on CCTV footage at Robina train station on the Gold Coast about 9.20am. Fears for his safety were raised after he failed to turn up to classes at Runcorn State High School, and did not contact any family or friends. As it turned out, he was pedalling to prove a point. "He rode his bicycle to Sydney for no better reason than to see if he could,'' Ms Johnson wrote the internet site. "He wanted to prove to some bullies [and everyone else] that he's not an idiot. Another motivation for Ethan was that he hadn't seen enough of the city during a school excursion when he was 12, Ms Johnson said. "Because we had the CCTV footage, we knew he was safe and the fact that he kept using his keycard as he went along we knew where to find him when he hit Sydney,'' she said. "We kept putting a little bit in his account each day so he could buy food but not too much so he couldn't get too far. Ms Johnson said she gave Ethan a big cuddle and he started crying when she was re-united with him. He had planned to ride even further when he was tracked down by police. "He got a bit disappointed because he was found a bit quicker than he thought he would be. He didn't get too explore too far,'' Ms Johnson said. However he has told his mother it was good to be back home and he would not do it again. Although Ethan is now back with family, Ms Johnson has decided not to remove the internet appeal site - on Facebook - to show him how many people cared for him. More than 9000 people signed up to the site, and most posted warm, motivational messages aimed at instilling Ethan with self-confidence. "Ethan, we love and appreciate you, mate. Can't wait to see you back at school,'' wrote one person, Chris Godde. Asperger's syndrome is a autism-related disorder that inhibits a person's ability to interact socially.